Our favourite photographer, Dennie Warren Jr. of Better Angle Photography sent me this picture today. Smith's Cove is a free, public beach approximately 2 miles from the cruise landing. 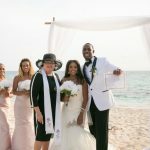 It is a well-loved wedding location for a Cayman Beach Wedding. It is also a special spot for Trash-the-Dress photos. It is an equally idyllic spot for sunset beach weddings. This location is suitable for large and small groups. For an intimate wedding, see my upcoming post on My Secret Cove, also popular for marriage proposals. 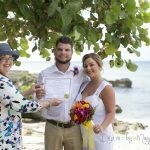 If you arrive in Cayman by cruise-ship we will pick you up at the cruise landing, bring you to our waterfront office where you can complete the documentation for your wedding and get dressed in our Bridal Room. We then take you to the location you have chosen for your ceremony. Coming with a group? No problem. 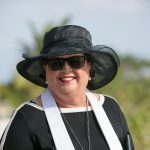 My assistant, Maria meets you when you step off the tender with our Simply Weddings welcome sign, and our friendly tour operator, Joselene will take your guests to the wedding site is an air-conditioned coach. 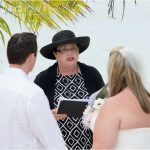 Start planning your Cayman Beach Wedding today, contact us to reserve your date and time. Wedding packages start at US$700.